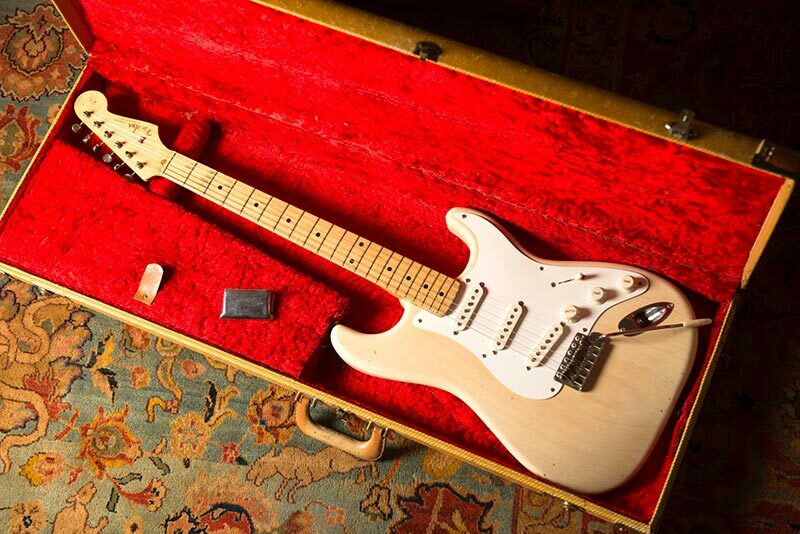 All original, provenance from a major guitar collection, simply the best of the best, in original tweed case. 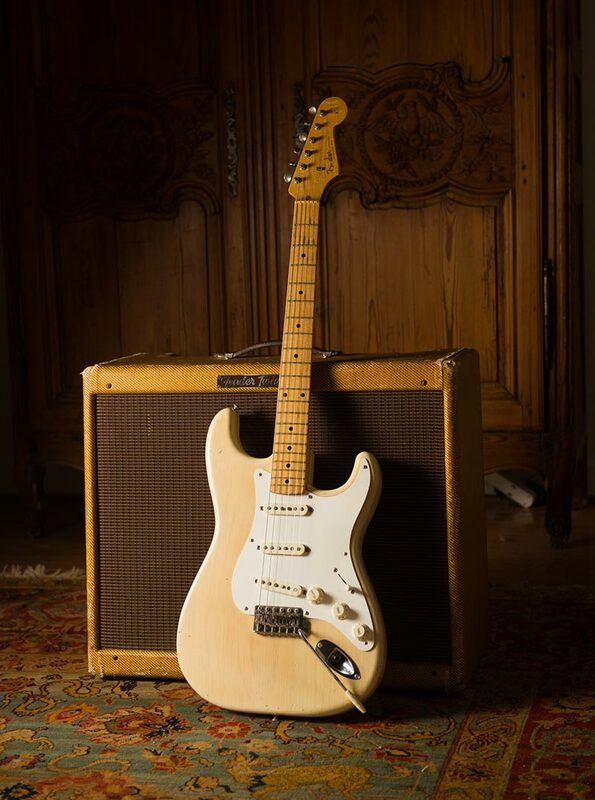 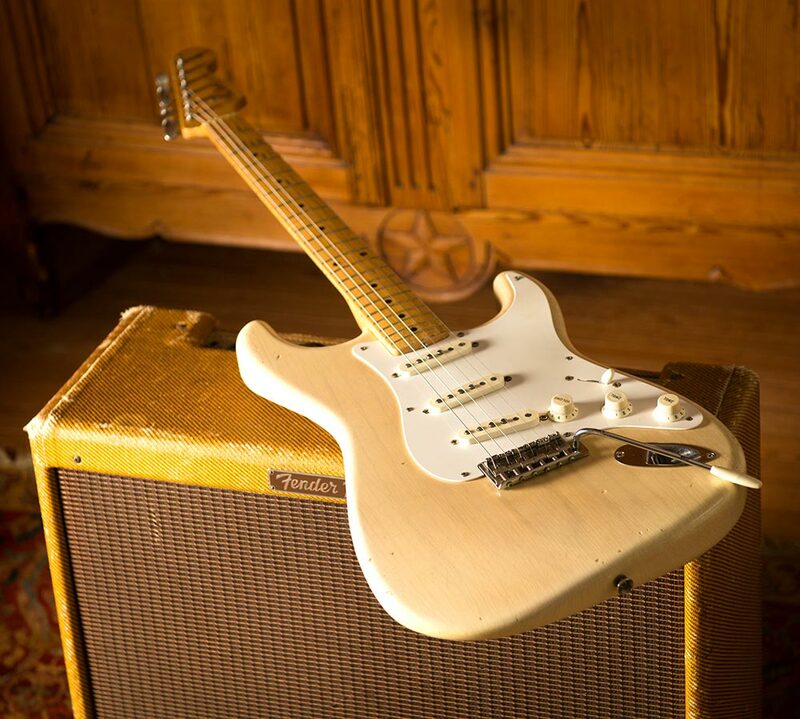 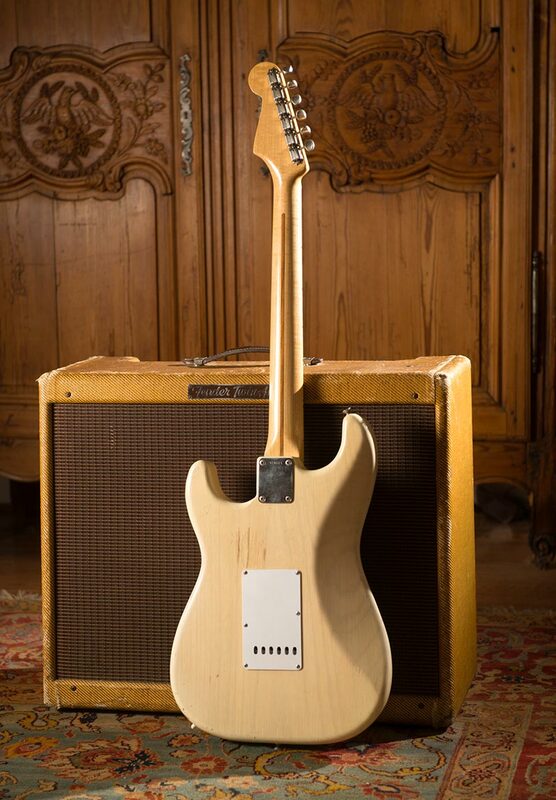 All original 1957 Fender blonde stratocaster against a 1955 narrow panel low power Fender tweed twin. 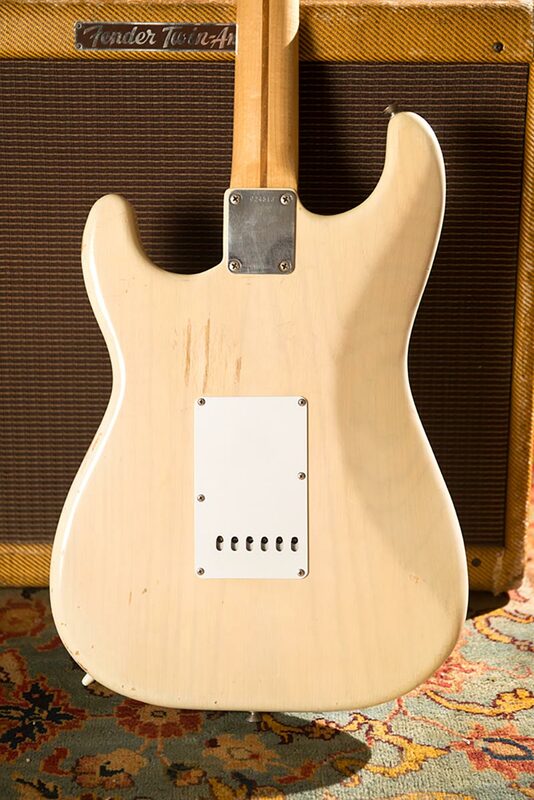 Something about vintage white, white guard with a maple neck, that is extremely aesthetically pleasing. 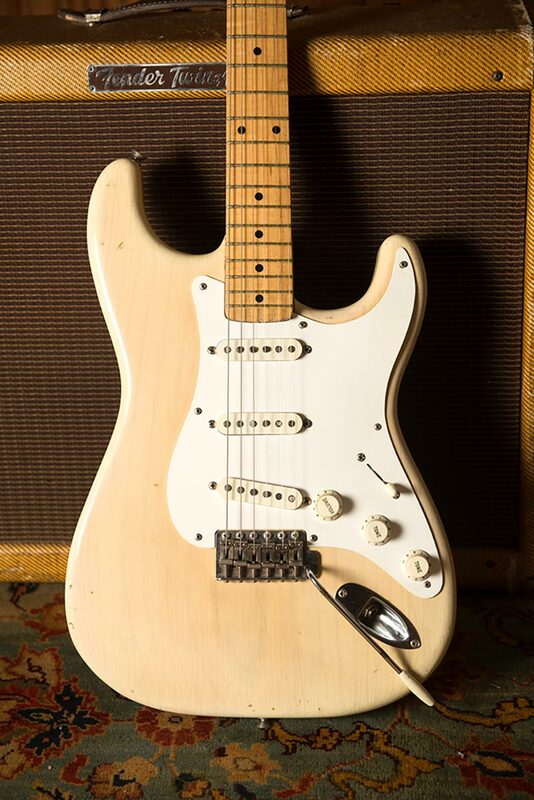 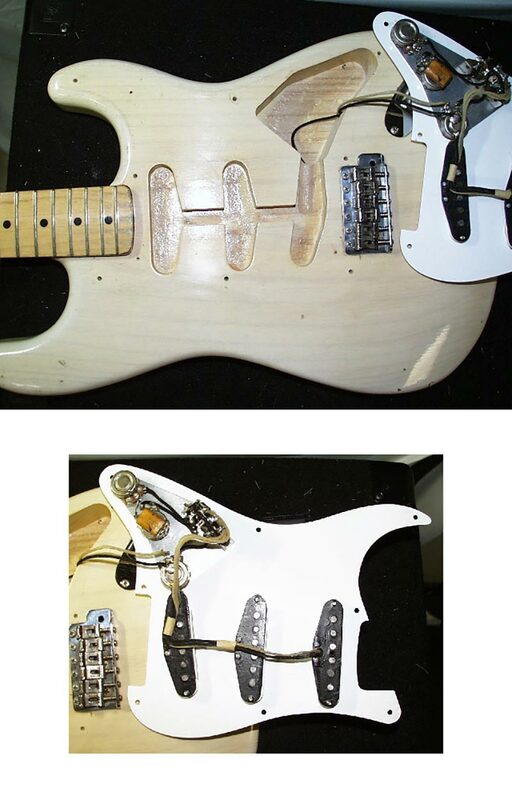 Many spring 1957 Strats have a mix of bakelite and ABS parts, with ABS pickup covers and bakelite knobs because the bakelite pickup covers ran out of stock first, so for the first couple months of production some 1957 Strats can have ABS pickup covers and bakelite knobs). 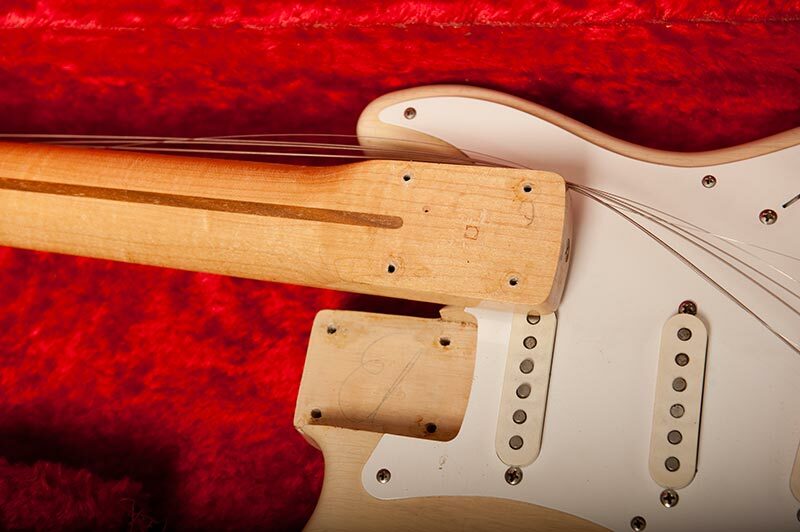 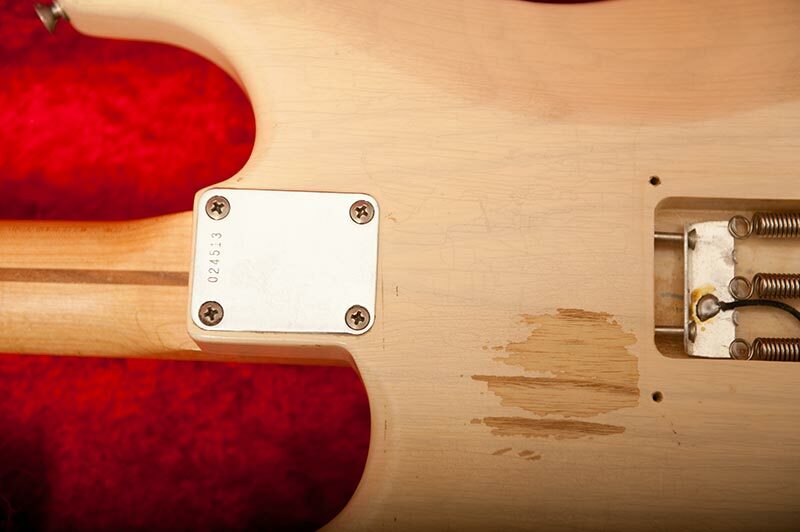 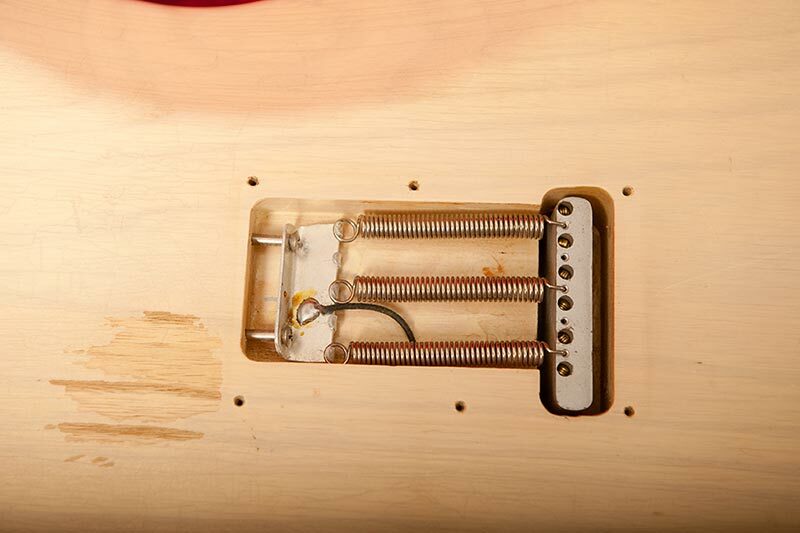 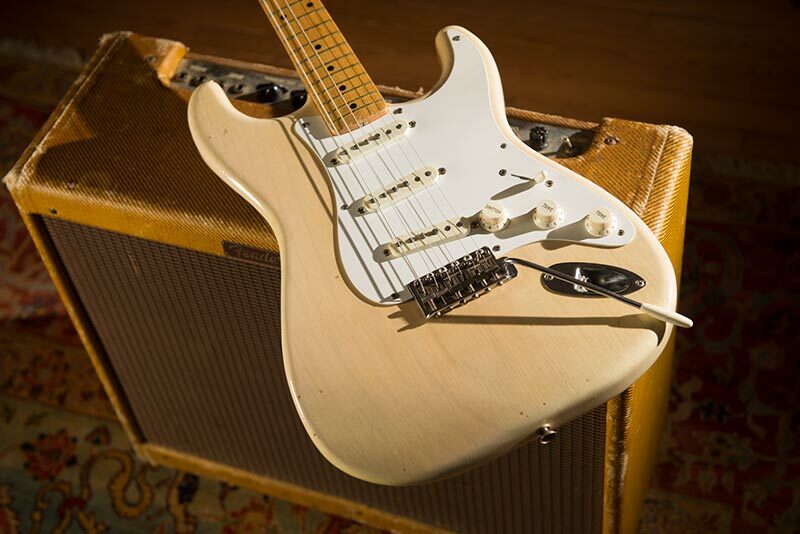 Early 1957 Strats have a neck with a “strong V” backshape. 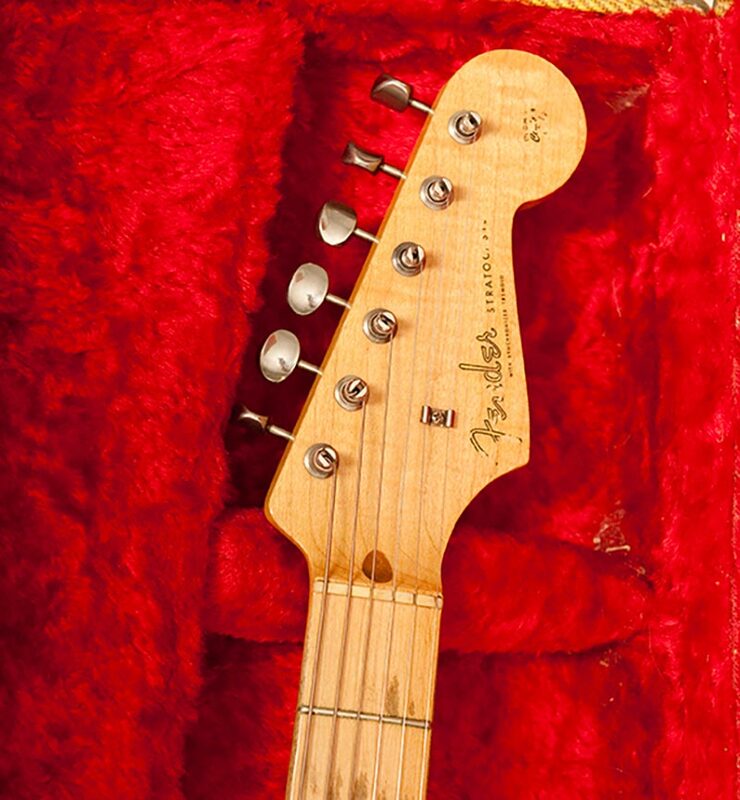 As 1958 progresses, the “V” neck lessens, and by the end of 1958 the ‘V’ neck is gone and necks are a little thinner. 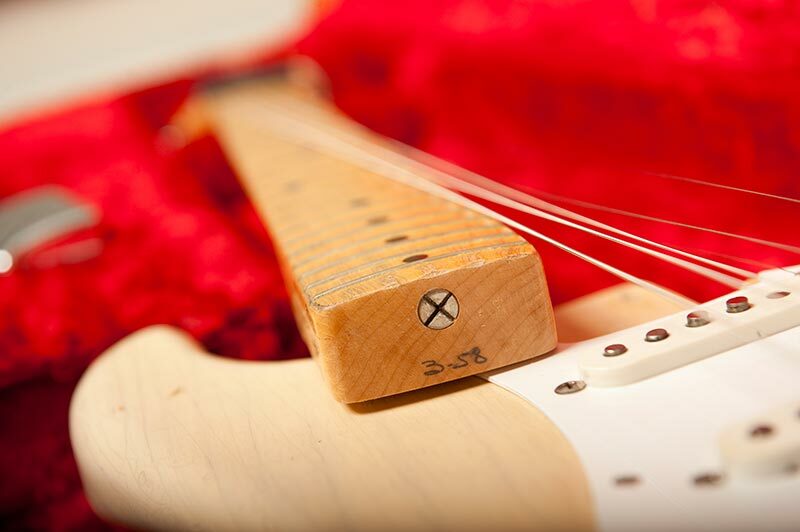 Although the neck is dated 3-58, the rest of the instrument is dated late 57 which was typical for the period. 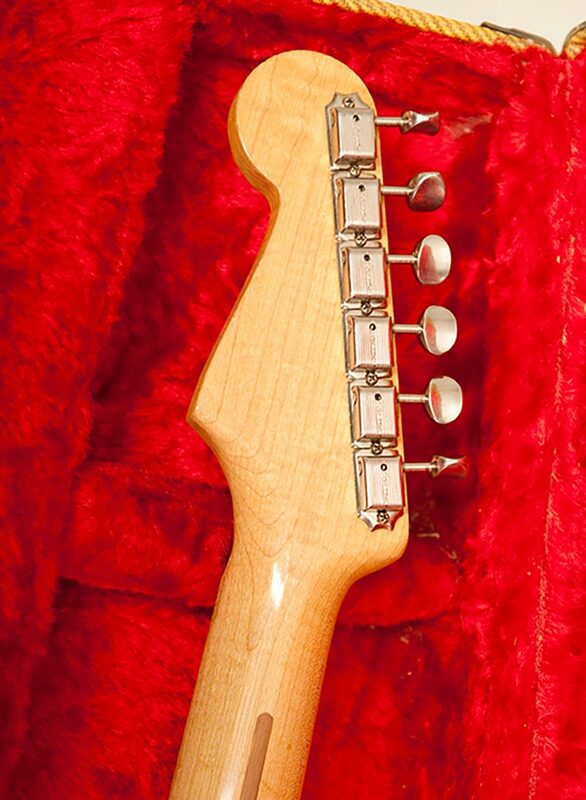 This one has the much preferred slight ‘V’ shape neck rather than the hard ‘V’ in early 57 or the thin ‘D’ shape of late 58.